Die Anker Guesthouse and Self Catering units in Doringbaai is a 3 star, AA Recommended accommodation establishment which offer affordable accommodation rates for Guesthouse rooms (no kitchen) and Self Catering units (with fully equipped kitchenettes) on the West Coast of South Africa. 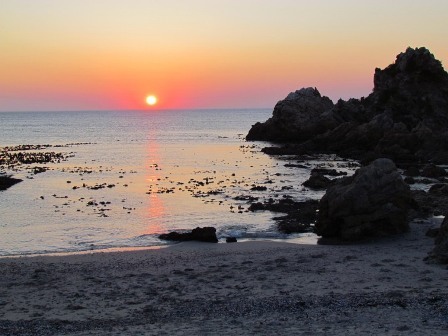 Doringbaai is a 60km drive from Lamberts Bay and 7km from Strandfontein (just north of Doringbaai). Doringbaai can be accessed from the N7 between Cape Town and Namibia at Clanwilliam (via Lamberts Bay) or from Klawer or Vanrhynsdorp (via Vredendal and Lutzville) as well as from the R27 via Velddrift, Eland Bay and Lamberts Bay. Die Anker Guesthouse and Self Catering units. If you are seeking peace and quiet or pursuing nature, Die Anker Guesthouse is the perfect destination. Relax in comfort with breathtaking sea-views and warm West Coast hospitality. The scenic beauty of this solitary coast is complemented by its plentiful sea life, with seafood dishes like mussels, crayfish or line fish and good wines of the area, offering the visitor a rich and unique culinary experience. At Cabin Restaurant on our premises you can expect great seafood and on the menu is also Elize’s legendary pot roasted oxtail in a thick gravy on rice and home cooked vegetables. We offer you a slice of original West coast living where the pace is slow and the air is fresh. Where the crime rate is low and the beaches clean. Where everything you need is on your doorstep and you can get there by foot. that is if you take your time! For more information about Die Anker Guesthouse and Self Catering units as well as photos of our units please click on Accommodation.